Building on exports of skim milk powder (SMP) will be vital to tackle the intervention stocks overhanging the dairy market, with the European Commission looking for new opportunities in future Free Trade Agreements (FTAs). 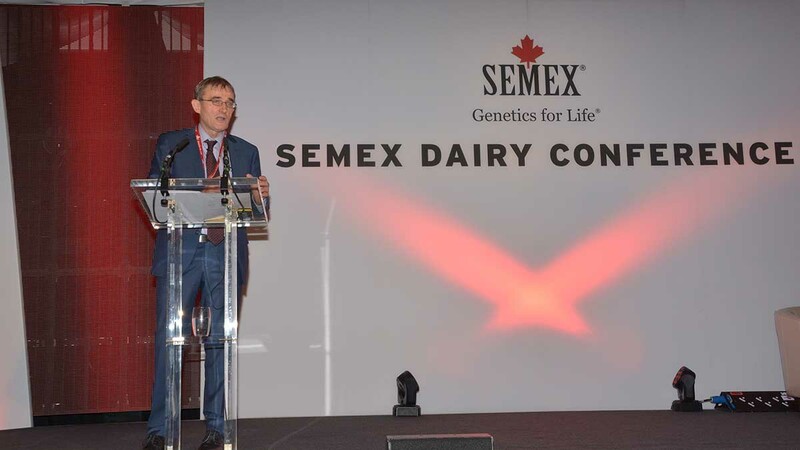 European Commission member Tom Tynan spoke at the annual Semex Dairy Conference in Glasgow this week. Exports of SMP have increased ahead of other markets in 2017 and Mr Tynan said the European Commission was looking to increase exports of SMP through new trade deals. A FTA with Japan has opened full market access for SMP, with Mexico also a potential export destination. With the future of the North American Free Trade Agreement (NAFTA) in question, Mexico could be looking for other sources of SMP to replace US imports. “Mexico imports 300,000t of SMP from the US. If NAFTA does not go through Mexico are talking to us,” he said. However, he highlighted what was needed was ‘less milk’ and a better balance of supply and demand in the future. On Brexit, Mr Tynan believed agriculture would be on the agenda in negotiations with the European Commission understanding how it fits into their tagline of growth, jobs and innovation, as well as the importance of the UK market to European food businesses. “The UK is the second biggest economy in Europe,” he added.